The BJP's alliance with the MGP, the GFP and Independents in Goa hinged on Manohar Parrikar as the only undisputed leader. Mumbai: The Bharatiya Janata Party (BJP) pulled an all-nighter after Goa Chief Minister Manohar Parrikar’s death Sunday evening, locked in discussions with state allies to have a successor ready by morning. However, the talks were inconclusive, with no consensus on a CM candidate to succeed Parrikar, a BJP leader who did not wish to be named said. Parrikar’s death is likely to usher in political chaos in Goa, with both the national parties scrambling to assume power. The Congress sent another letter to Goa Governor Mridula Sinha — the second in two days — staking claim to form the government after a party meeting Sunday night. In light of Parrikar and BJP MLA Francis D’Souza’s death, and two legislators’ defection from the Congress to the BJP, the strength of the Goa assembly has come down from 40 to 36. While the Congress currently has 14 MLAs, the BJP has 12 and the NCP one. The BJP’s allies Maharashtrawadi Gomantak Party (MGP) and the Goa Forward Party (GFP) have three MLAs each, with the party also supported by three Independents. 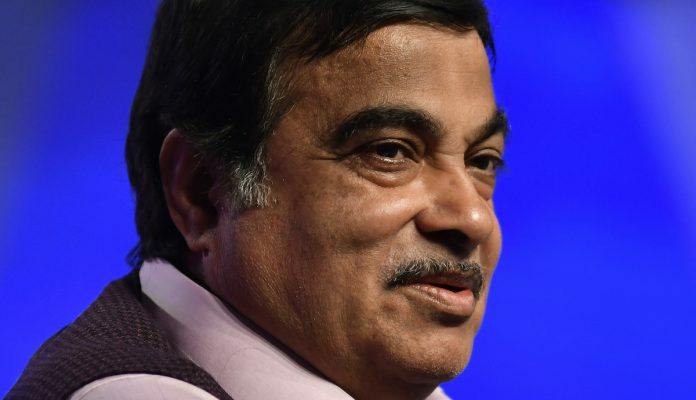 Starting midnight, senior BJP leader and Union minister Nitin Gadkari held meetings with the party’s partners in the state, including Independents, at Hotel Cidade Goa in Panjim. BJP leaders Sripad Naik, Vishwajeet Rane and Michael Lobo were also present at the meeting venue. Alliance leaders Sudin Dhavalikar of the MGP and Vijai Sardesai of the GFP met Gadkari, but the stalemate was yet to be resolved by 5 am, a BJP leader said. Goa deputy speaker Michael Lobo told ThePrint Sunday night, before the meetings, that they didn’t have “a consensus candidate yet for the CM’s post”. “These discussions will start now. Union minister Nitin Gadkari is reaching Goa. We will have a meeting, [and] after that we will discuss these issues,” he added. The BJP’s alliance with the MGP, the GFP and independents was hinged on Parrikar as the only undisputed leader. After the 2017 assembly election, the BJP had staked claim to form the government even though the Congress was the single-largest party with 17 MLAs. The party quickly cobbled up an alliance with smaller parties and Independents and moved Parrikar, who was then union defence minister, from New Delhi to Goa as he was the only consensus leader among all allies. The BJP will have to pick a new leader to replace Parrikar as CM and again stake claim, armed with letters of support from all allies, to retain its government in Goa, Lobo added. While Parrikar was in and out of hospitals over the last one year, the Congress made several unsuccessful attempts at staking claim to form the government as the single-largest party in the legislature. The Congress, which had also approached the governor with a request to form the government Saturday, after D’Souza’s death, had said initially that it was unlikely to immediately write another letter to restate its demand. However, after a meeting of the legislative party Sunday night, the Congress did send a second letter to Governor Sinha, saying the BJP-led government had lost its majority. “We deeply mourn the sad demise of Shri Manohar Parrikar, Chief Minister of Goa,” the letter, signed by Chandrakant Kavlekar of the Congress, leader of the opposition in the assembly, said. “This unfortunate development calls for immediate action on your part for smooth transition and transfer of power. The coalition partners of the Parrikar-led government had allied with BJP on [the] condition that the government is headed by Mr Manohar Parrikar, the then defence minister of India. The BJP therefore has no allies as of now,” he added. “Congress being the largest party, it is submitted that the leader of the Congress legislative party is entitled to be invited to form the next government,” he said. Congress leader Digambar Kamat’s visit to Delhi Sunday as Parrikar’s condition turned critical sparked speculation that the former CM may be on his way back to the BJP as a consensus CM. Kamat, however, told journalists that his visit to Delhi was for personal reasons, adding that joining the BJP would be akin to political suicide. The Goa government has declared a seven-day state mourning from 18-24 March in light of four-time chief minister Manohar Parrikar’s death. His mortal remains will be first taken to the BJP’s state headquarters at Panjim around 9.30 am Monday, and then to the Kala Academy in the state capital for people to pay their final respects. The last rites will be performed around 5 pm at Miramar.